As educators we all know that one of the greatest benefits to teaching are the relationships that we build with our students. This year marks my 15th year in education and I truly cherish each and every chance I get to build relationships in my classroom. Just the other day I received a letter from a former student letting me know how much she enjoyed my class and that she still has a passion for studying History. That is what teaching is all about. Each and every day that we walk into our classrooms we have an opportunity to make a difference! How awesome is that? In reflecting back over my 15 years in education there is one thing that I don't think I did very well. I didn't really share what I was passionate about with my students. Sure, my students knew that I loved to teach and coach. But what about the other things that I enjoyed to do like gardening, golfing, camping? Why didn't I share those passions with my students? Why was I holding that information back? I know I was always asking my students to be passionate about every single thing they did in their lives, yet I was holding back in sharing what I was passionate about. I remember the day well in 1977. It was about the middle of my Kindergarten year and I was at the local supermarket with my mother. I saw my teacher Mrs. Martin and she was wearing jeans! I tugged on my mother's shirt and exclaimed, "Mom, Mrs. Martin is wearing jeans!" Here I thought that my teacher was a superhero (still do) and wore only skirts and slacks. I only knew Mrs. Martin in "school mode." I was always curious about the "other side" of my teachers. What were they like when they took off their superhero capes? What did they like doing outside of school? So here is your challenge. 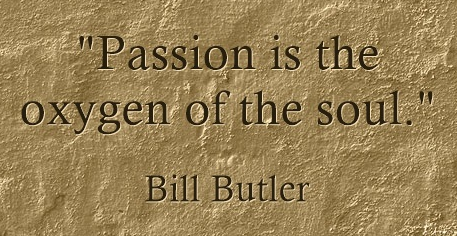 As you begin this school year, I want you to share your passions with your students. Here is a way to showcase your passions mixed in with a little technology...enjoy creating! No more than six words on a slide! Share it with your students...often. Watch the video below to see how to take your Haiku Deck, export it, then upload it into a Google Presentation that will continuously loop. Stand out in the hallway on the first day of school, greet your students and have your Passion Project playing as you students are entering your classroom.